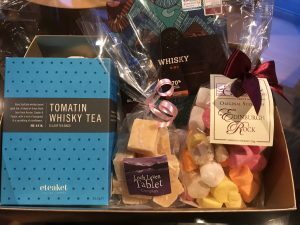 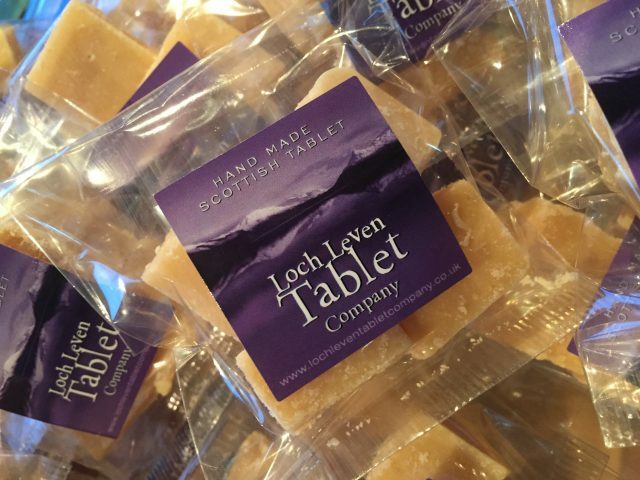 We all know that traditional Scottish Tablet is usually made with lots of dairy produce. 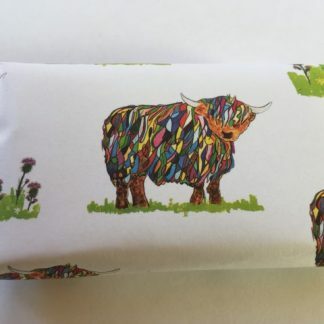 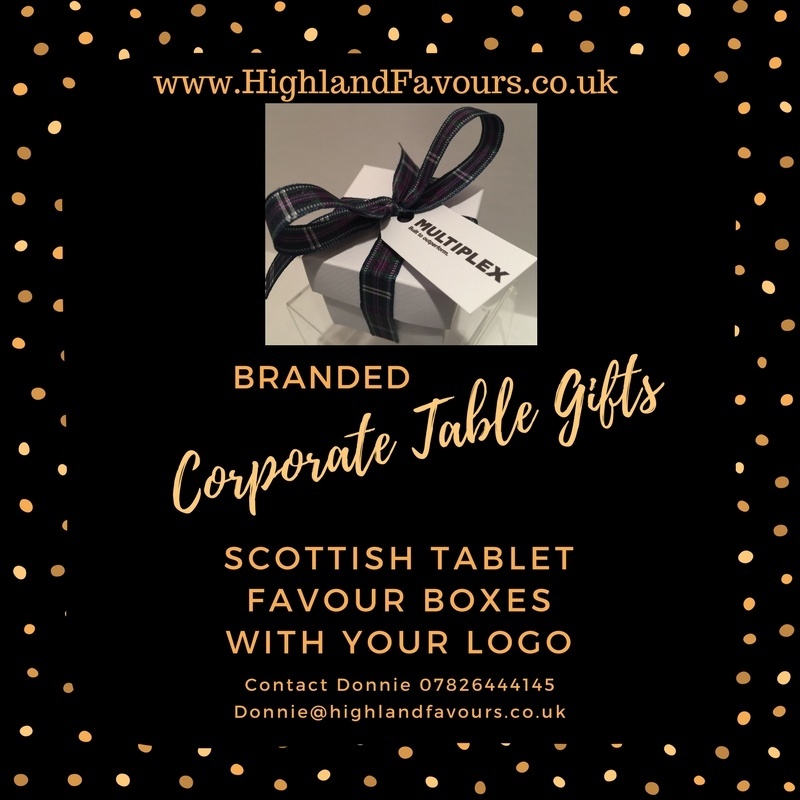 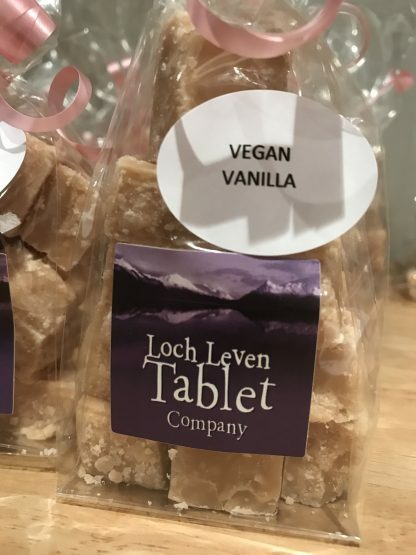 Our Vegan Scottish Tablet is Dairy Free and suitable for Vegans. 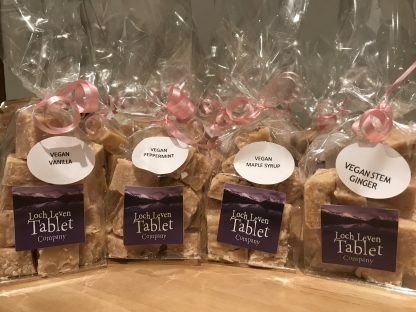 We offer a selection of flavours: Vanilla, Peppermint, Stem Ginger and Maple Syrup. 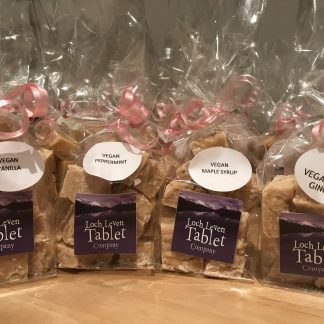 This selection pack includes a pick and mix of three of our flavours delivered to your door. 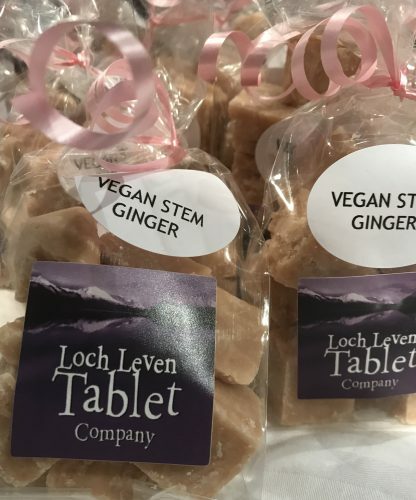 You will receive three of the four different flavours. 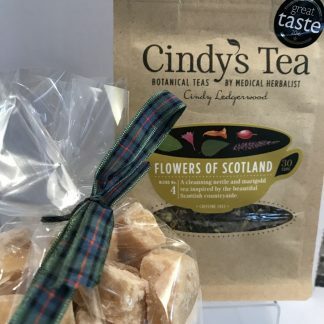 If you would prefer to create your own selection then each flavour is available to order in the online shop. 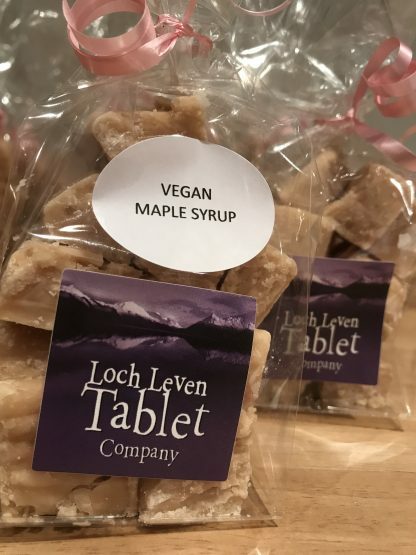 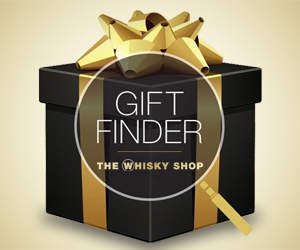 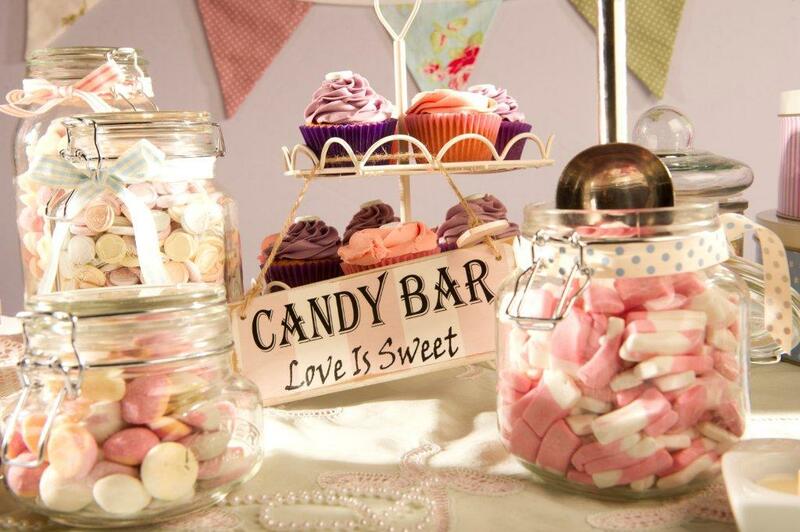 We offer a selection of flavours: Vanilla, Peppermint, Stem Giner and Maple Syrup. 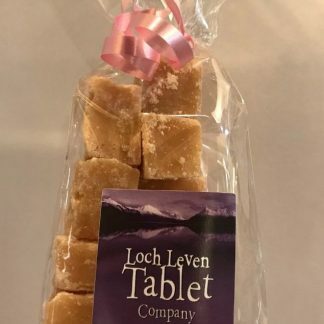 You will receive three of the four different flavours (sorry no choice available in this selection pack).